Looking for the perfect place to host your next meeting or special event? 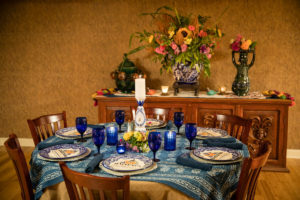 Look no further than the Hacienda de Mesilla. 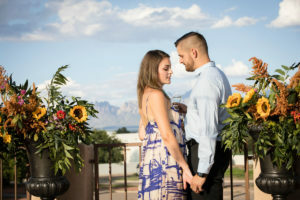 Located in the heart of Mesilla, the venue is within easy walking distance of the historic Old Mesilla Plaza, and New Mexico State University is located just five miles away. 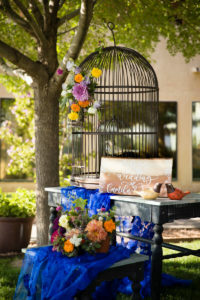 Hacienda de Mesilla and its staff are excited to be able to provide a high-quality, affordable, and flexible alternative to the standard large-party venues Our venue lends itself to all kinds of possibilities, from outdoors on our Rooftop Terrace, to the scenic courtyard area or even poolside. Our Rooftop Terrace venue offers spectacular views of the majestic Organ Mountains as a backdrop to your event, as well as a panoramic night view of the city lights. These venues serve from 10 to 120 guests, with perfect settings for fine dining under the stars, or a casual family gathering. Indoors, we have three options to accommodate your special private event. Our Banquet Room can accommodate 10 to 40 guests and is a great venue for every reception, company meeting, or even a special family gathering. Our Hacienda Grille accommodates up to 80 guests and may be reserved for private special events. Our Hacienda Cantina can accommodate up to 60 guests and may be reserved for special events as well. Whether it’s for a casual luncheon or a sophisticated dinner, Hacienda Grille & Cantina is proud to offer an extensive selection of menus to choose from, or let us create a custom menu for your specific needs. Out Banquet Room is the perfect seating for 10-to-40 person gatherings that require a private room with audio-visual capabilities. This is conveniently located just off our lobby, next to the Cantina. The beautiful garden and grass grounds of Hacienda de Mesilla provide the perfect backdrop for outdoor events, whether it’s a wedding, family reunion, or that special graduation party.